And it is awesome. Kinda reminds me of Tracy Morgan. Now he’s streaming his life on Ustream. It’s guaranteed to be exciting. The latest I heard he’s yelling about being drunk and high, IN his Celtics game shorts and nothing else, while the Ustream staff toiled in the background to set up cameras around his house. Will I get anything done this weekend? OK so maybe I forgot for a little while with the NBA on its yearly break, but gee wiz that LeBron James is a silly one. For the release of the Nike LeBron Zoom VI The Swoosh has teamed up with The King to make what is clearly one of the more entertaining footwear spots we’ve seen in some time. Looks like Bron-Bron will rake in a ton more money with this one. Preseason basketball is here and it seems that at least one local establishment is decidedly unsatisfied with all the negative attention that Josh Howard has recieved as of late. SMU-area haunt Milo Butterfingers had this to say about the Wake Forest product, who at this point seems a far ethical cry from his fellow Demon Deacon alums Tim Duncan and Chris Paul. Not only does the bar hang this signed jersey upside-down, but they make sure as many people see it as possible by putting directly next to the front entrance. We’ll keep an eye on the status of this–maybe Josh can play his way back from the Land Down Under if he can put together some solid play after the first quarter with any kind of consistency. P.S. Note the Barry Sanders Oklahoma State(?!) jersey that the bar also proudly displays–right-side up. Seriously the funniest thing I’ve seen in some time. Steve Nash and Baron Davis have crated one of the finest fake movie trailers of all-time. Simply must be watched to be believed. 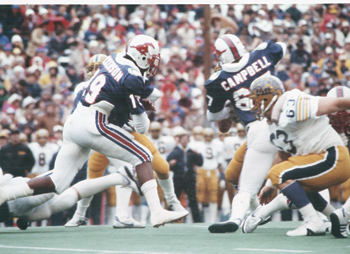 With the announcement last week that the SMU football team would be sporting “new” uniforms, I felt the need to bring up the Mustangs’ schizophrenic handling of the color blue. 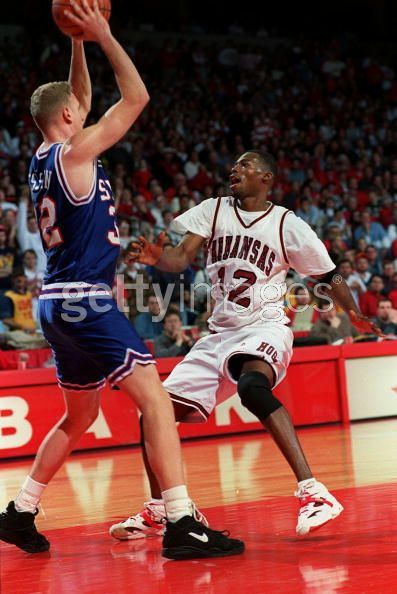 Now I’m not old enough to remember, but I can’t recall ever seeing the SMU athletic teams wearing anything but royal before the mid to late 1990s. 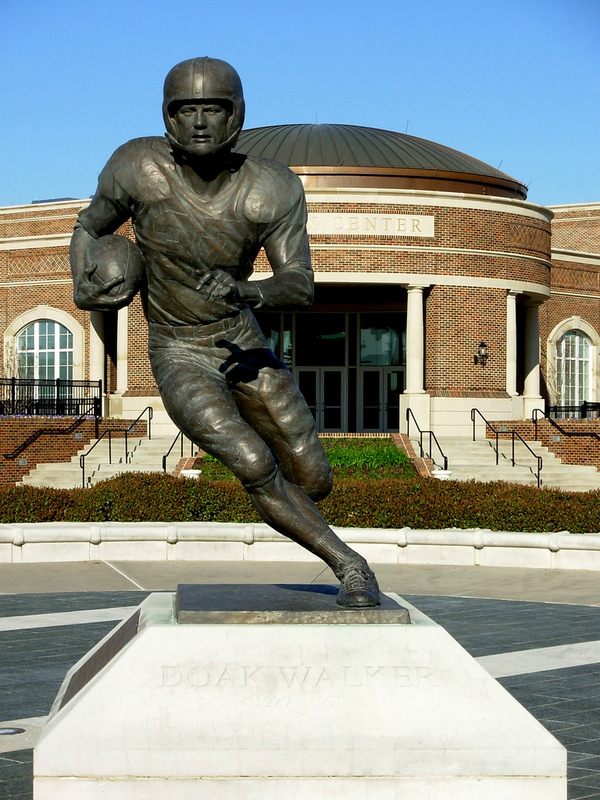 But navy was the preferred hue of blue that the football team adopted in 2003. And there seems to be no explanation for this at all. 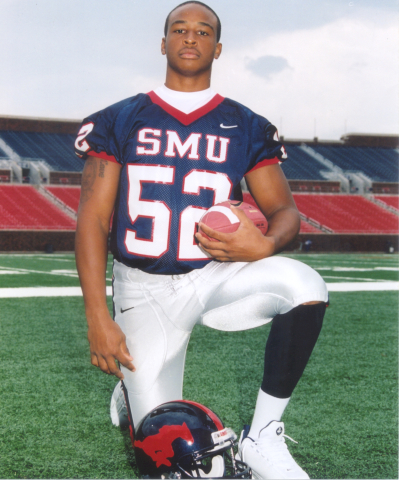 For a school with as rich an atheltic heritage in the city of Dallas as SMU, it is a sad tale how much apathy has surrounded its programs since the NCAA dropped the Death Penalty on them in 1987. Look at the school’s official colors and you’ll see that they are “Harvard Red and Yale Blue.” WHY? That automatically dooms the Mustangs to aspire to be a copy of another school, AT BEST! 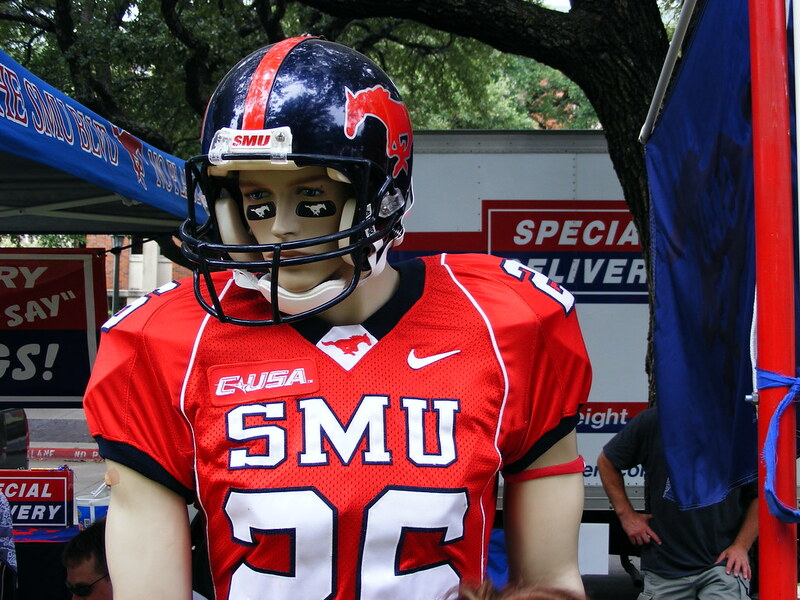 I’m sure schools with such strong ties to their colors as the University of Texas look at SMU and just laugh. Who can tell me where the non-official usage of navy came from? Looks like hoops are back in royal now, though. 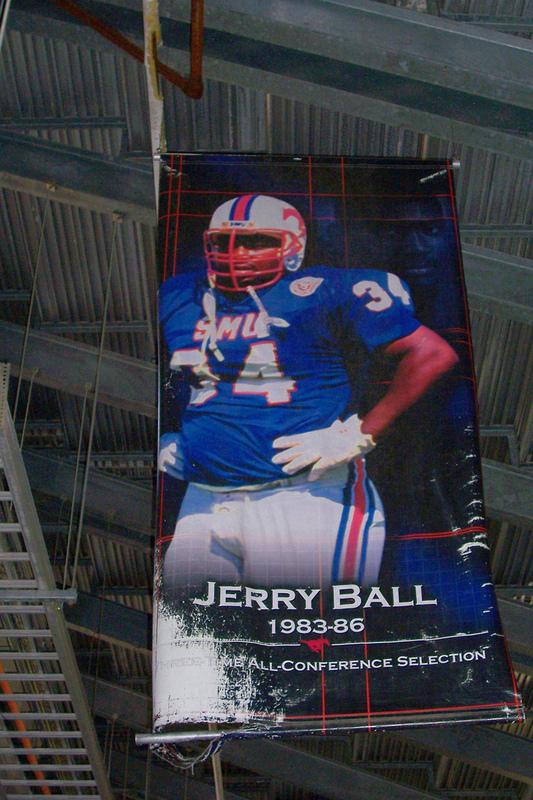 Why oh why SMU do you play fast and loose with your colors? What other sports team, at any level, does this? 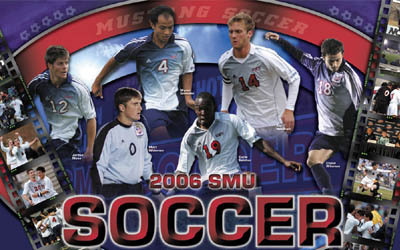 Southern Methodist University — pick one color and stick with it. Please. Maybe you’ll see that people care about your teams when they think that you actually do. What do you think? Please tell me what you think in the comments. Thanks to hombre de steel for the vintage banner photos.